Just wanted to pop in with some updates since the demo is looking nearly finalized at this stage. 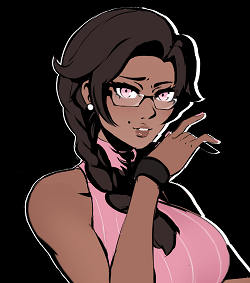 Sheer was the most popular unmet character from the discord poll, so I'll be handing out her short meeting scene for free imminently. It will include a little exploration and a average length conversation sequence, though the battle engine will be excluded since you would lack the cards to win the fights you'd face in Sheer's level. She's a lot of fun, and a developer favorite, so I'm excited to share her story. Her meeting scene will be accessible from the main menu of the next patch. We're coming to Steam soon! We will continue to update the itch.io and Steam versions of the Chromatose demo equally, and if everything works out, you shouldn't have to play demos from the beginning every time you open a new patch anymore!